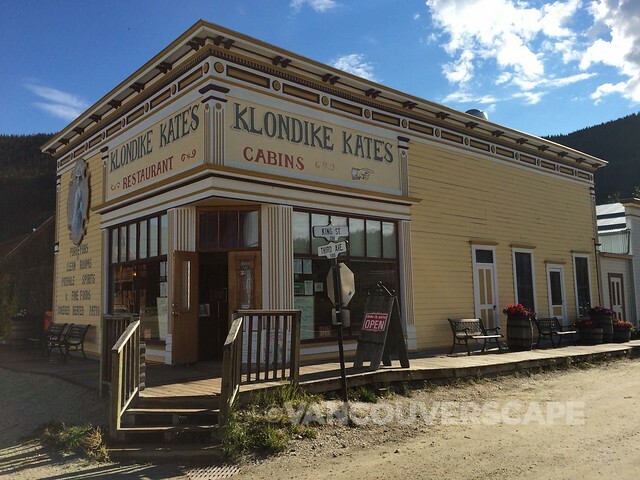 Dawson City’s compact size and richly-steeped history makes for an excellent walking tour. While on a recent press trip, I took advantage of Parks Canada’s offerings and booked a Dawson Then and Now 90-minute walking tour. There’s several different tours on offer throughout the day (and they’re only $6.30 each! ), from Strange Things Done in the Midnight Sun to visiting the Yukon Commissioner’s Residence, offered through September 28 (the season runs from mid-May). We began our tour at the riverfront, where a Parks Canada guide introduced us to the Dänojà Zho Cultural Centre, a beautiful space that offers cultural programs, tours and activities of the Tr’ondëk Hwëch’in peoples. 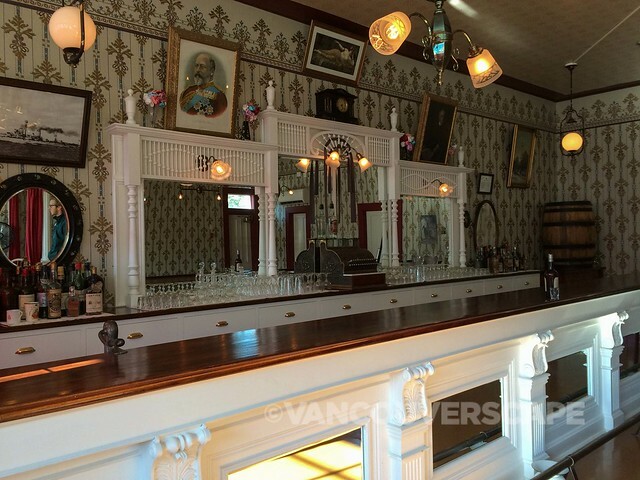 Before long, we’ve moved on (a few meters away) to the historic metal-clad bank where British-Canadian poet Robert Service worked following the Gold Rush boom years. 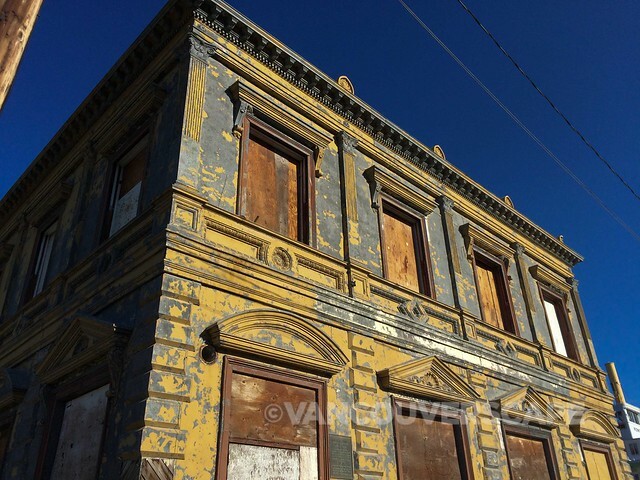 It’s currently in a state of neglect and the city’s recently purchased it. Whether the building stays at its original location (and what it will become) are still undecided. 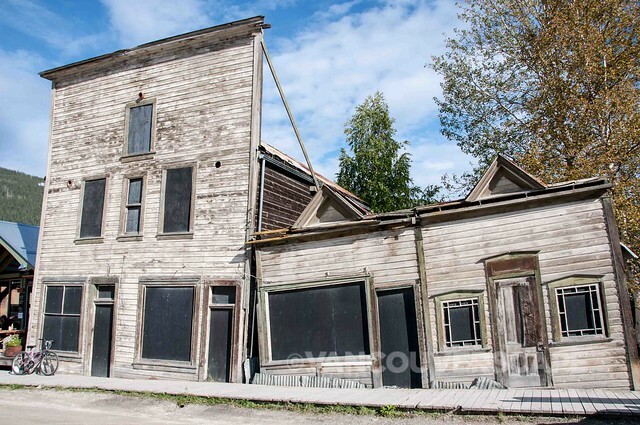 Fact: At one time, Dawson City was considered the Paris of the North (dredging technology caused electricity to come early; Dawson was one of the first American towns to receive it). This boom town didn’t start that way though — in 1896, it wasn’t more than a sleepy moose pasture and fish camp. Once gold was discovered, the town experienced a major influx of people, all out to stake their claim. 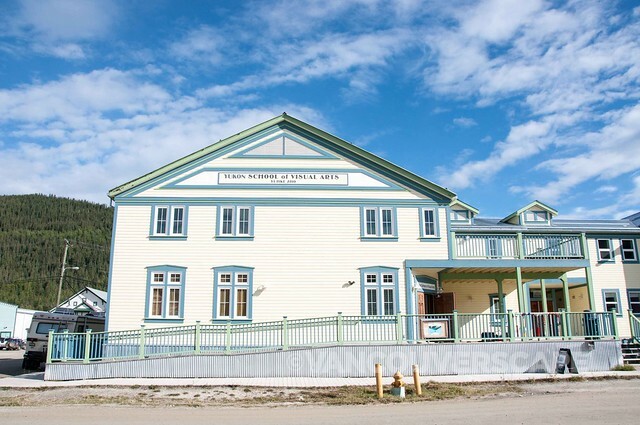 The streets of downtown Dawson contain both modern and original Gold Rush era buildings, many currently being restored by Parks Canada. 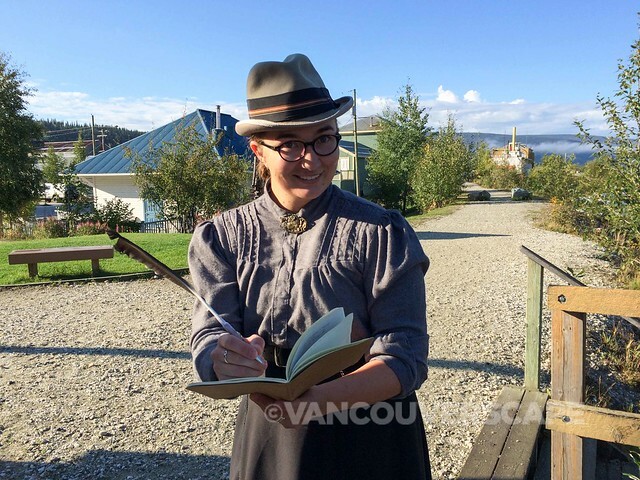 On this tour, you’ll also get a bit of Chilkoot Trail history and learn that Canadian soldier and police official Sam Steele (head of the Yukon detachment during the Klondike Gold Rush) imposed a law stating that explorers carry with them one ton of provisions before beginning the 33-mile trek. Those who weren’t lucky in striking the glitter started their respective businesses back in Dawson. Banks, shops, and services were there to serve the ones that scored. A little pinch of gold went a long way in getting what you needed around town. Dawson City also experienced the worst flood in its history in 1979: people had to get around by canoe! After the disaster, a dike was built over the course of eight years making floods a thing of the past. Speaking of infrastructure, walking through town, the lack of paved roads quickly becomes apparent, especially after the rain. The town’s only paved road is Front Street, and this was built in 2010 at a high cost (due to imported materials) causing a slight uproar amongst the locals. When permafrost has its way with buildings (as it did with these three below, dating to 1901), the frozen ground wreaks havoc. Frost melts, mixing water with soil to form a muck that settles in. Through the cold and heat, many buildings eventually caved in. Present-day dwellings have a space built up between the ground and the structure so that the owner can maintain the degradation over time and add more material to help avoid this misery. 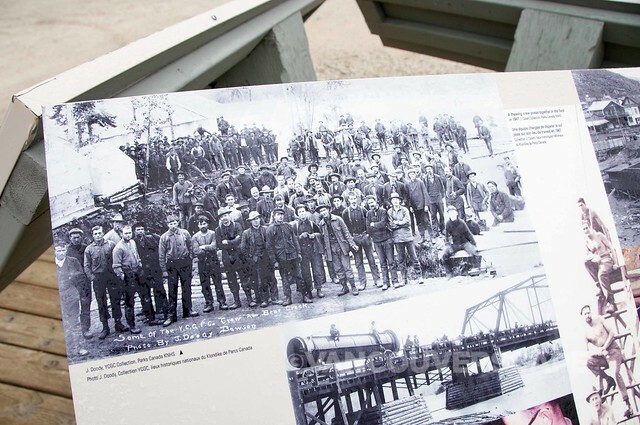 Parks Canada has created a historical site in honour of the phenomenon, aka 3rd Avenue Complex. While the river played a key role in water transport in the past, it’s now used as a winter activity hub, with skating and rally car racing (on the frozen river!) keeping the locals entertained. 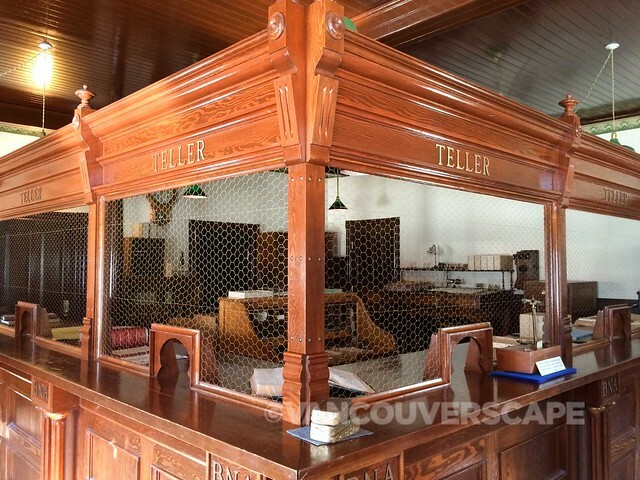 The 1899 Bank of British North America is a two-story, neoclassical timber structure used during the Gold Rush. 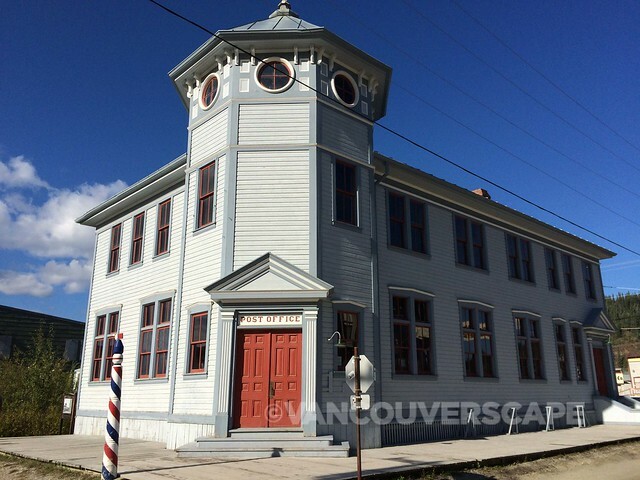 It served as a bank, dormitory, assay office and general office during its time. Miners would come in and have their loot weighed. Bankers got wise to the fact that gold’s purity varied from one riverbed and creek to another. After awhile, they’d be able to assess the value based on its purity, just by looking at the material included with the gold. A fun present-day fact: there are only three ATM’s in Dawson City. When their stock gets depleted, locals are able to use the casino chips from Diamond Tooth Gerties to pay for goods! Bartering is also common practice here (trade me some moose meat for labour?). 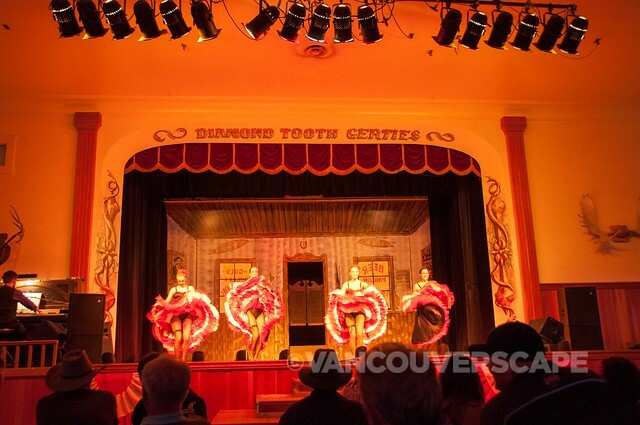 As can be expected, gold mining and tourism are Dawson’s two biggest industries. Folks work hard all summer and get super social in fall and winter, hosting dinner parties and events. As there’s a huge variety of influences coming through town, hobbies get passed on, artists are able to show their work, and writers flourish. There’s a thriving sports scene here too. -30C, no problem: there’s snowshoe baseball and chili cook-offs to keep you going! With 13 drinking establishments in Dawson City, it’s no surprise that you’ll run into your friends pretty regularly. The city’s few coffee shops close by late afternoon so it’s onto the pub to continue the conversation.